Southern Region Football Association (SRFA) League has secured a one-year K14 million sponsorship from Rab Group of Companies through the company’s Thumbs Up carbonated soft drink brand. The deal has a three-year option of extension based on the success of the 2019 season. The development means the SRFA League is the richest regional league as the Chipiku Stores Central Region Football Association (CRFA) League and Simama and Sons (Simso) Northern Region Football Association (NRFA) League are bankrolled to the tune of K13.5 million and K10 million, respectively. 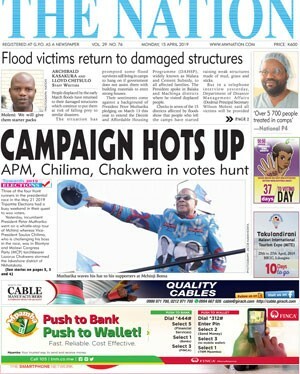 The new sponsorship deal comes barely a week after Chitetezo Mbaula manufacturers, United Purpose (UP), did not to renew SRFA’s K11 million year-long sponsorship. During the unveiling of the Thumbs Up sponsorship yesterday at Mpira Village in Chiwembe, Blantyre, Rab Group chief executive officer Ahmed Sunka said their financial support aims to extend the companies’ outreach in football and they hope the gesture will go a long way to develop football at grassroots level. “We are excited at the fulfilment of one of our core values, which is ‘partnerships for life’ and strongly believe that our newly found partner, football, will not let us down but give us all the reasons for a long and mutually beneficial relationship,” he said. SRFA chairperson Raphael Humba said it has taken them a lot of effort to secure the sponsorship and they will do their best to safeguard it. “SRFA is a brand that companies love to be associated with and Rab Group has made a great choice they will not regret. It is difficult to get a serious sponsor, but it is easy to lose it. Therefore, we will carefully preserve this relationship,” he said. 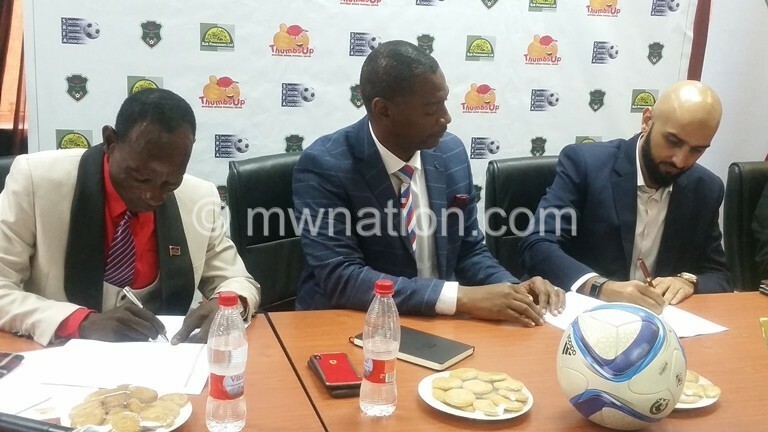 Football Association of Malawi (FAM) president Walter Nyamilandu described the sponsorship as a catalyst for football development in the country. “It is quite relieving to have found a serious partner in Thumps Up soft drinks and we are assured that our agenda to develop football in total and remote areas is realised. In the past, teams could not assemble in good time for a new season due to uncertainties over prizes and referees’ dues but now there is no doubt because we are in good hands,” he said. Humba said they expect to start registering teams for the new season on March 1 ahead of the league kick off on April 6. In the past four years, SRFA League has had three different sponsors Nsejjere Sports Wear, Masters Security Company and Chitetezo Mbaula.